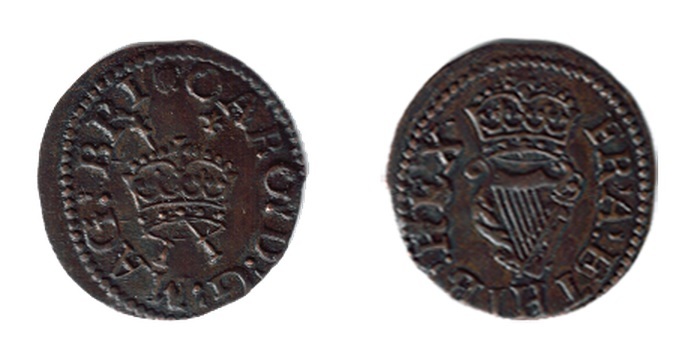 During the reign of Charles I, (1625–1649), farthings continued to be produced under the king’s licence. Towards the end of the reign of James I, in 1623 Ludovic, Duke of Lennox acquired the additional title of the Duke of Richmond, but died a few months later without an heir. The farthing patent passed to his widow, Frances Stewart, Dowager Duchess of Richmond & Lennox – who had as partner in it, Sir Francis Crane. This patent was confirmed to them on the 30th of May, 1625, by Charles I. upon his accession. 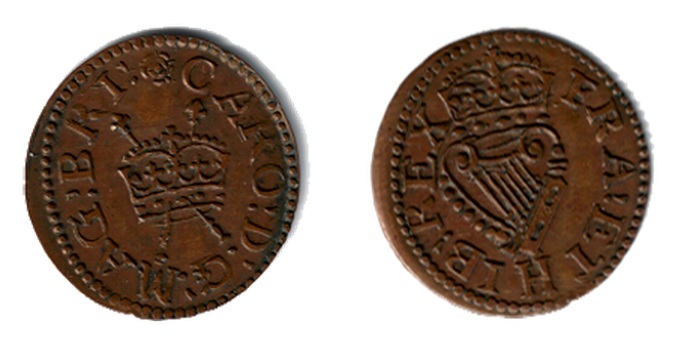 Thus, the first ‘farthing’ issues of Charles I are consequently called Richmonds. The reverse shows a crowned harp and the continuing inscription FRA ET HIB REX — France and Ireland, King. Richmond Type 1b : CARO over IACO. 9 circlet jewels either side. Eagle-headed harp with 5 or 6 strings. Recorded privy marks – dagger and mascle. Obverse pm at 12.00 o’clock. Die axis upright. Richmond Type 3 : Similar to type 2, but for apostrophe stop punctuation. 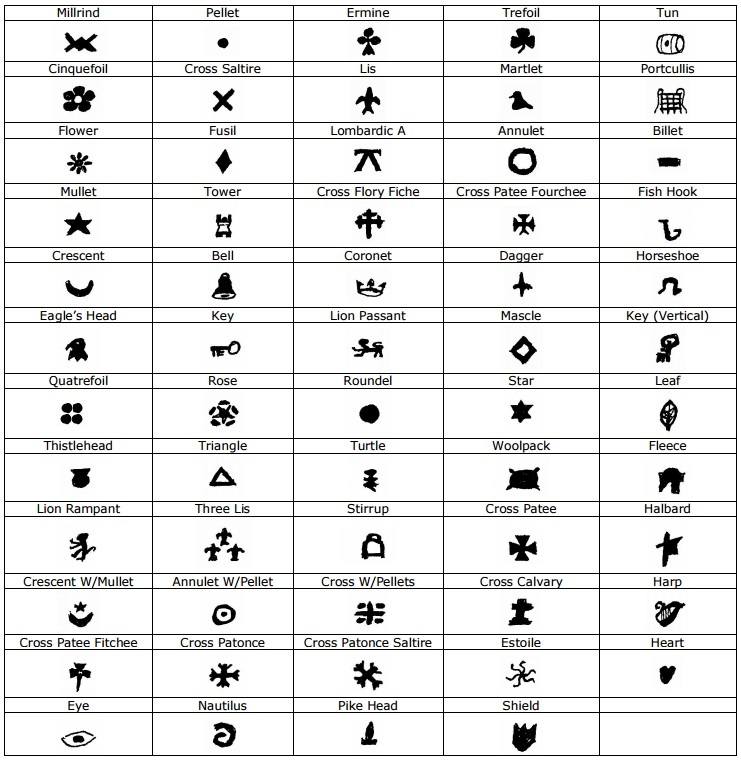 Only two privy marks known – lion rampant and trefoil. The former has 6 harp strings, the latter 5 – on a hook-fronted harp. Die axis still rotated. The obverse circlet jewels on the trefoil coin are carelessly cut and can appear to number only eight. Richmond Type 4 : New crowns with 5 circlet jewels either side, the central one being a diamond. The eagle headed harp has been discontinued and replaced by one ornamented with 7 beads. Only one privy mark used – a double rose. Die axis unrotated. One version reads BRIT; the other BRI. All have six strings. Richmond Type 5 : Another new design, still with 5/5 jewels, but the central one is now usually oblong. The harp has changed to a scroll-front design, again with 6 strings. Double rose remains the only privy mark. Die axis upright. No BRIT option. One rare version reads FR’A. Richmond Type 6 : The rose privy mark is retained, as is the scroll-fronted harp. This is found with 5, 6 or 7 strings. Die axis is variable. 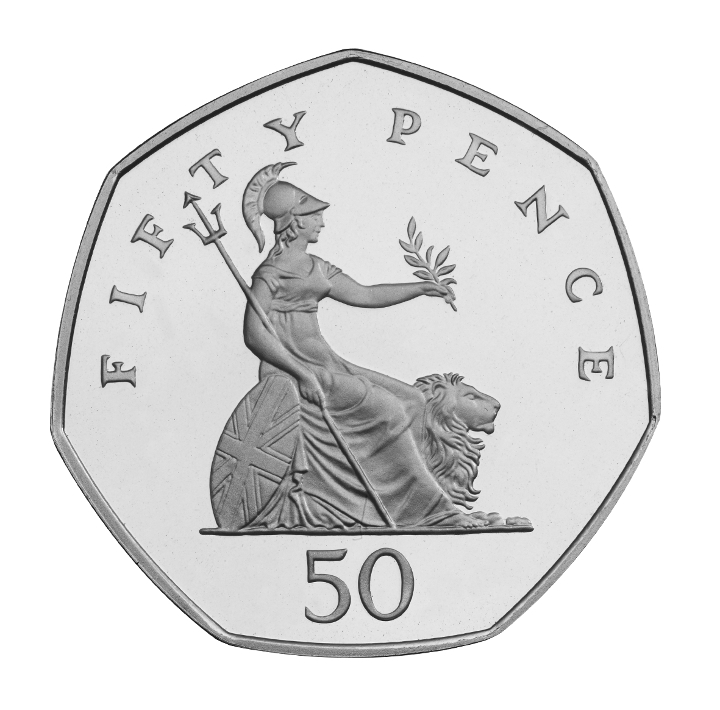 The distinctive difference to type 5 is that both crowns now have seven round jewels. This type marked the end of the Richmond round issues which were to be superseded by the Maltravers range. As a result of their abrupt ending several strips of type 6 Richmonds were never punched or cut out after striking. These elusive left-overs survive as individual square pieces, and are also known to exist in strips of between two and nine coins. Studies have been carried out related to the various die combinations extant in those finished pieces which were in circulation. 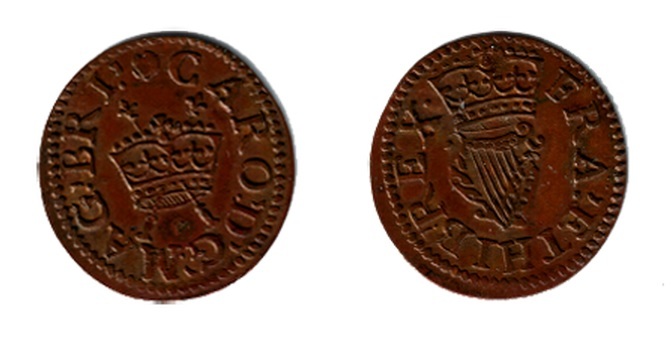 In line with the previous patent farthings, the Richmond Farthings included a series of Privy Marks which were an additional device to prevent / deter counterfeiting. Who was Frances, Duchess of Richmond ? Frances Teresa Stewart, Duchess of Richmond & Lennox (1647–1702) was a prominent member of the Court of the Restoration and famous for refusing to become a mistress of Charles II of England. She was the daughter of Walter Stewart, or Stuart, a physician in Queen Henrietta Maria’s court, and a distant relative of the royal family. She was born on 8 July 1647 in exile in Paris, but was sent to England in 1663 (after the Restoration) by Charles I’s widow Henrietta Maria to act as maid of honour at Charles II’s wedding and subsequently as lady-in-waiting to his new bride, Catherine of Braganza. The great diarist Samuel Pepys recorded that she was the greatest beauty he ever saw. She had numerous suitors, including the Duke of Buckingham and Francis Digby, son of the Earl of Bristol, whose unrequited love for her was celebrated by Dryden. She eventually married the Duke of Richmond, also a member of the Stuart family, in March 1667. It is possible she had to elope to do so, after being discovered with him by a rival for the king’s affections, Lady Castlemaine. The now Duchess of Richmond, however, soon returned to court, where she remained for many years; and although she was disfigured by smallpox in 1669, she retained her hold on the king’s affections. It is certain, at least, that Charles went on to post the Duke to Scotland and then to Denmark as ambassador, where he died in 1672. 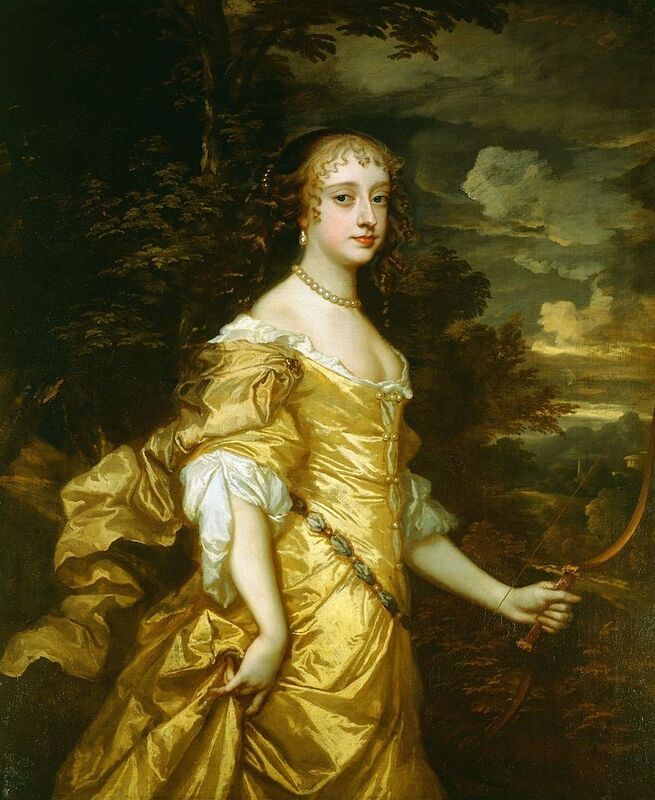 Frances Teresa Stuart, Duchess of Richmond & Lennox – while a member of the royal court, she caught the eye of Charles II, who fell in love with her. The king’s infatuation was so great that when the queen’s life was despaired of in 1663, it was reported that he intended to marry Stewart, and four years later he was considering the possibility of obtaining a divorce to enable him to make her his wife because she had refused to become his mistress. Following the war with the Dutch, Charles had a commemorative medal cast, in which her face was used as a model for Britannia; this subsequently became customary for medals, coins and statues.